Impeller tool, According to what model ski you have? 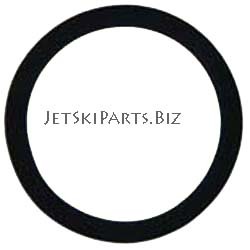 You will need one of these Inland Jet Ski impeller tool. The Inland Jet & Solas Impeller removal tool is for the Jet Ski tool impeller, Sea Doo tool Polaris Honda and Yamaha. We also have the Yamaha tool shaft holder below. ​Impeller Removal tool fits OEM, Solas, Skat, IJS and JET Sea Doo Concord SRB, SRX SXX SX4 & SRZ series impeller 159mm pumps. Impeller Tool Fits RXT IS 260 09-16, RXP 260 12-16, GTX limited IS 260 09-16, RXP-X 255 09-10, RXP 215 09-10, RXT 215 09-10, Wake 215hp 07-10 Wake Pro 215 09-10, GTX 09-10, RXP 215 04-08, RXT 215 05-08, GTX limited 215 05-up. GTR 215, RXT300/RXP300/GTX300. Boat: 4-Tech, 205 Utopia & Utopia SE 07-up, 180 Challanger 159mm pump 07-up, 230 Challenger 159mm pump 07-up, 230 wake 159mm pump 07-up, Speedster 150 159mm pump 07-up, Speedster 200 159mmp pump 07-up, Speedster Wake 06-up. ​Impeller Removal Tool Fits impeller Models aftermarket and OEM (SEA DOO) SK IJK series, X props SD series, props ST Series, Concord SD series, Concord SF series, Concord ST series, SK Series, SXX and Spark. Impeller Tool Also fits Honda All, (KAWASAKI Jet Ski): Concord KG & KE series, Dynafly KH series, KA, KD, KF KP KR KX KGX SOLAS IMPELLERS. This tool fits all Sea Doo Spark & Sea-Doo 2 strokes impellers. Also Tool fits Kawasaki Jet Ski tool 650/750/800/900/1100cc crafts, stx1200r, Ultra 150, Ultra 250x 07-up, Ultra LX 07-up, STX15-F, STX12F, Ultra 260, 300 & 310 SX-R 1500 impellers. Fits 550SX but not 550JS. Yamaha EX 2017-18 VX110 05-06, VX Sport 06-16, VX Cruiser 06-16, VX Delux 06-16, VX700 Explorer 06-up. Challenger 1800 . ​Impeller Removal Sea Doo Tool Fits Sea Doo 155.5mm pumps.. WAKE SUPERCHARGE 07-up 155.5mm pump, GTX LIMITED SC 03-04, GTX 4-TECH SC 185HP 03-06, GTS SE 155 07-14, RXP 155 07-08, GTX WAKE 155HP 02-10, GTI SE 155 06-up, GTI SE 130 06-16, GTI 90 GTS 90 BOAT: ISLANDIA 07, SPEEDSTER 150 07, Speedster 155 04-05, SPORTSTER 4-TEC 04-05, For Solas Concord SR & SG series impeller and Original impeller. ​Yamaha impeller Tool shaft holder Fits Yamaha 1200, FX HO 1052cc/1100 04-08, FX CRUISER HO 1052cc 04-08, FX-140 998cc 03 and up, FX CRUISER 998cc 03, VX Limited 16-up, VX Sport 16-up, VX Cruiser 16-up, VX V1 16-up V1 Sport 16-up GP1300R, XLT 1200 99-05, GP1200R 00-02, SUV1200 99-03, XL 1200 98-99, GP800R 01-05, XLT 800 00-04,BOAT XR1800 00-01, SX 230 SR230 AR230 04-05, SX210 AR210 SR210 06 up, SX230 AR230 SR230 06, SX230 HO AR230 HO SR230 HO 05. wr007h and YD/YF/YG/X series impeller shafts. ​Yamaha Impeller Shaft Tool Fits Solas Yamaha YV, YS Dynafly, YS Concord, and YS-TP series impeller shafts. FZR Sho 15-16, FX SVHO / FX Cruiser SVHO 15-16, FX HO/ FX Cruiser HO 09-14, FX Sho 08-14, FX Cruiser SHO 08-14, FZR SHO 09-14, FZS SHO 09-14, VXR/VXS 11-16,GP1800 Will also fit most V4/V6 Mercury outboard motor shafts. 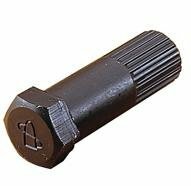 20mm splined female shaft prop tool. ​Sea Doo Pump Oil For Sea Doo Pumps. Fortified with anti-foaming additive's. 75w-90 pure synthetic.